On this week's episode of Talk Back the NFL divisional preview series continues down the field when hosts Eric Nesbit & Justin Gay dig into the AFC South and decide if it's still the Colts' division to lose in 2017. In segment two of the show, Eric gets a little heated over Lebron James becoming the 'bad guy' in the Kyrie Irving trade-talks scenario, and the hosts try to make sense of the dysfunctional Cavs situation, followed by lightning round questions regarding ... See More Jordan Speith at The Open and Kyle Busch at The Brickyard. 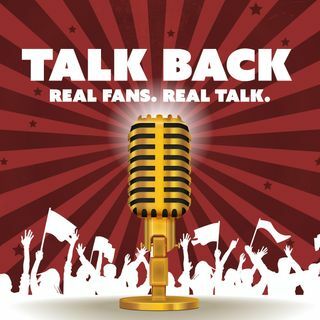 Follow Talk Back on Twitter and Facebook at @TalkBackFanTalk, or at blogtalkradio.com/talkbackpodcast. Enjoy the show!